KIBERA, Kenya — The shop is dark and humid. I duck inside, and the warm glow of three television screens coats a room filled with a dozen neighborhood boys. Three of them hammer away at PlayStation controllers, sending a tiny soccer ball leaping across the screen. Odhiambo, who goes by the nickname Diddy, was born in Kibera and has lived there his entire life. In addition to his PlayStation business, he runs a shop outside of Kibera that sells women’s shoes and clothing. He even operates a tour company, capitalizing on outsiders’ curiosity about his increasingly famous home. 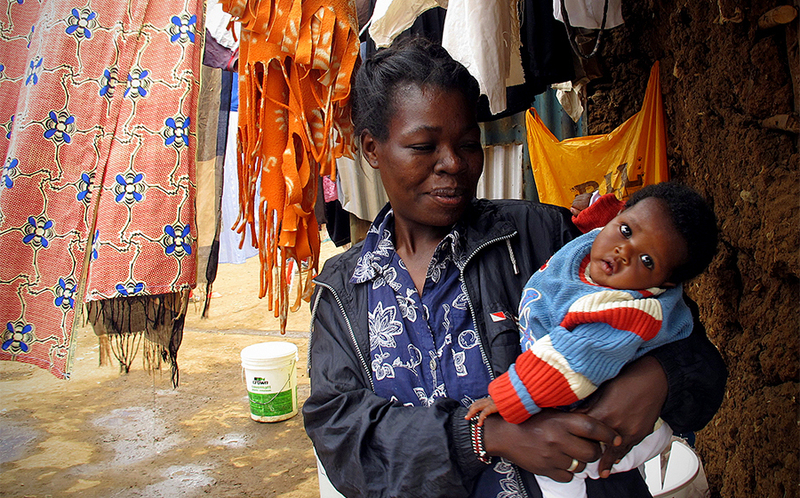 Like most slums, Kibera has no formal government services. Residents can’t access clean water, sanitation, electricity or health care the way the rest of the city does. It’s easy to think of slums as places of listless poverty filled with victims of circumstances waiting for outside intervention. But Diddy’s shop shows another side. Slum dwellers are entrepreneurs and innovators, constantly manipulating their surroundings to creatively address the problems they and their communities face. “They’re probably the most inventive people in the world because they often have limited access to resources,” said Cynthia Smith who is the curator of socially responsible design at the Smithsonian Cooper-Hewitt National Design Museum. Smith traveled to 15 different countries learning about slum innovations, from vertical water and sewer services climbing a mountainside settlement in Caracas, Venezuela, to a community oven in Kibera that uses trash as fuel. She has compiled her work into an ongoing exhibition called Design with the Other 90%: Cities. According to U.N. Habitat, 85% of new employment opportunities around the world are in the informal economy. If he gets a little more startup capital, Diddy says he’ll expand his business to build a larger gaming center, complete with computers and additional PlayStation consoles. But isn’t it difficult to operate a video arcade with no formal electrical system? Diddy says it’s rarely a problem. 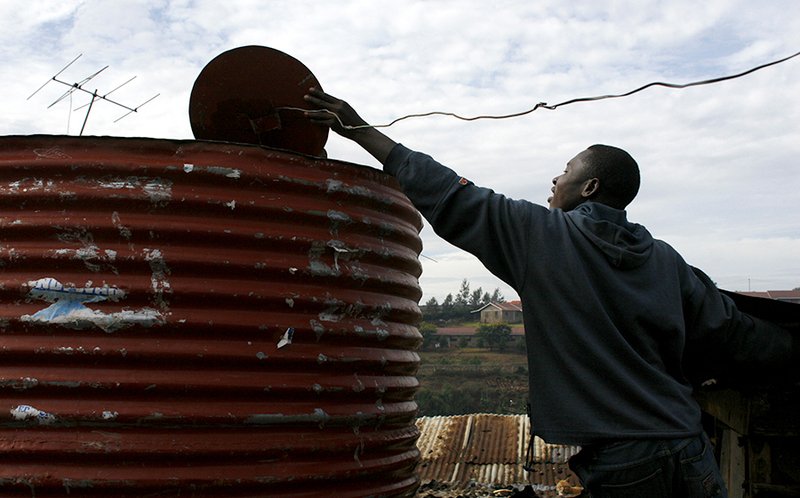 His shop is powered by Kibera’s primary electricity suppliers: a complex—and entirely illegal—system that has been maintained by generations of Kibera residents. 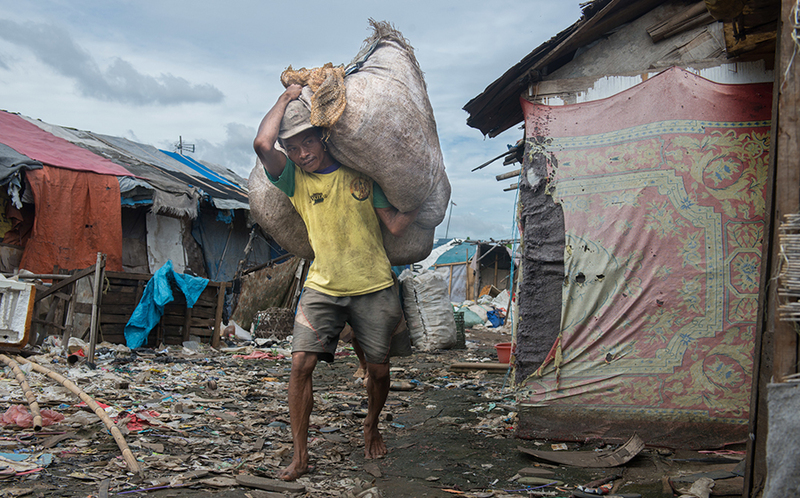 Phillip, who asked that his last name not be used because of the illegal nature of his work, is one of dozens of agents who keep the slum powered. Residents pay him about $4 per month to get hooked up. He grew up in Kibera, and is using his job as an informal electricity broker to pay his college tuition while he is studying broadcast journalism. On the whole, Nairobi is a highly developed, modern city. Just ten minutes from Kibera are luxury apartments and malls with boutique stores and sushi restaurants. But even in these wealthy neighborhoods like Lavington and Karen—home to former Prime Minister Raila Odinga—there are basic infrastructure problems that are unfamiliar in a place like Seattle. In my own apartment in an upper class neighborhood next to Kibera, shoddy service from the Kenya Power and Electric Company frequently leaves me in the dark. Last year, I spent the entire night with my electronics piled around me at a dingy restaurant because I had a deadline to meet and it was the only place in my neighborhood with electricity. I asked Phillip if it was possible that Kibera’s residents actually enjoyed more reliable power than I did. “I’d say that is probably true,” he said with a smile. Deeper inside Kibera, some of that power is illuminating a dim bulb in the home of Bella Achieng as she wakes her infant daughter up from a nap. Bella is a different kind of entrepreneur. She works on a smaller scale, using what the rest of the city throws away as a business opportunity. 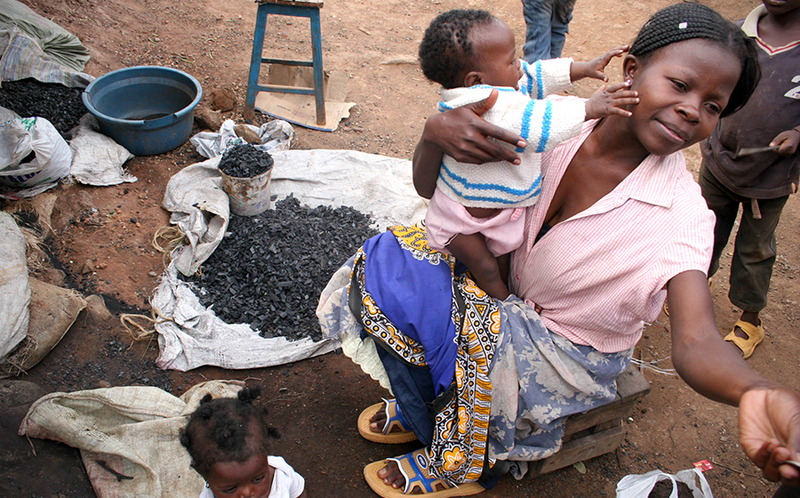 She buys leftover bits of charcoal from bigger businesses at a cheap price. Then, she grinds them up with mud, packing them into neat blocks of cooking fuel that she can sell, turning a small profit. Reusing castoff materials is common practice in slums around the world. Human waste is converted into bio gas in slums in Lagos; the Zabbaleen are a community in Cairo that make a living in by operating informal trash collection for the rest of the city; garbage pickers in Mumbai sort plastics and sell them to recycling companies. Bella held one of the blocks up to me. The lack of resources in informal settlements may offer a unique impetus to innovate, but that doesn’t change the harsh realities of poverty. 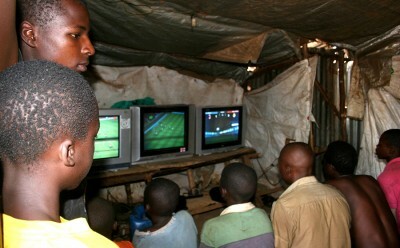 I visited Diddy’s arcade on a weekday and many boys were there just to watch other kids play the games because their families couldn’t afford the uniforms, books and bribes required to attend primary school. Phillip described the precautions he takes when connecting people to power, but I’ve heard several stories from Kibera residents of gruesome electrocutions. Bella’s hard work and ingenuity means that she and her two daughters may continue surviving, but they still can’t rely on regular meals. And yet, Kibera residents constantly defy outside expectations. They watched the coverage of Kenya’s recent presidential election on televisions in their living rooms. Many of them own laptops and operate small movie theaters, electronics repair shops, and packed restaurants. They send the money they earn back to their relatives in rural Kenya using groundbreaking mobile banking technology. Smith told me that the assumption that the West will bring innovation to poor parts of the world is shifting. Slum residents are using creative approaches to address big, global problems like urban density, technology access and waste disposal. Necessity breeds invention. And that necessity might just be what makes slum dwellers well equipped to take on a crowded, resource-strapped future. My sister is living in Eldoret, Kenya while her husband helps build a hospital for AMPATH. The Kick Starter concept interests me. She is trying to raise funds for local school, just so kids can attend. The school is run by a local priest. Wonder if that would be successful on Kick Starter? Thanks for commenting. I would recommend Indigogo for a fundraising project like that. Kickstarter has a lot of rules about it being strictly creative projects with a clear beginning/end date and tangible result.(I.e. no salaries). So it might be easier to fundraise on the Indigogo platform for that project. Hope that helps and best of luck to her!